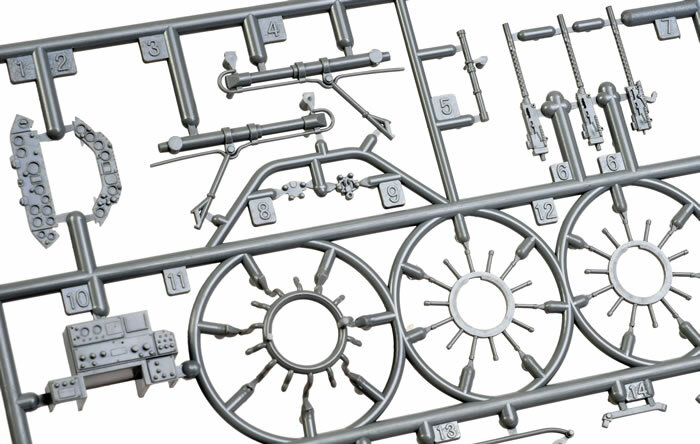 Great Wall Hobby Kit No. 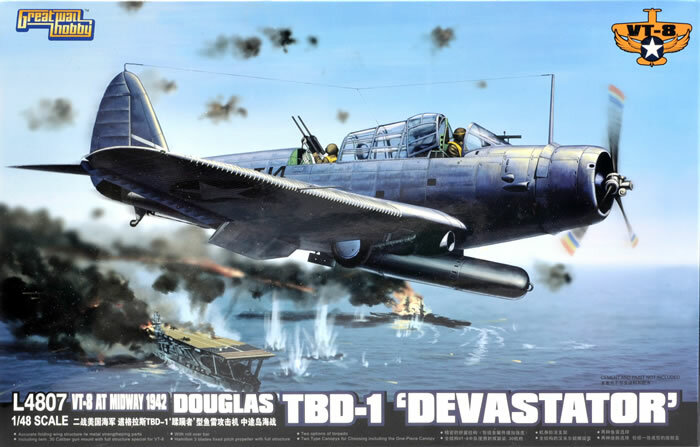 L4807 - Douglas TBD-1 Devastator. 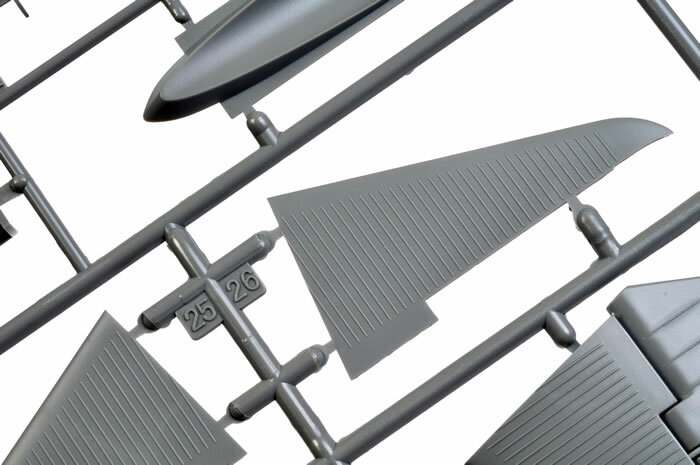 102 parts in medium grey plastic; eleven parts in clear plastic; two white metal pieces; two photo-etched frets with around 60 parts; masks for the canopy, wheels and national markings; decals for two aircraft. 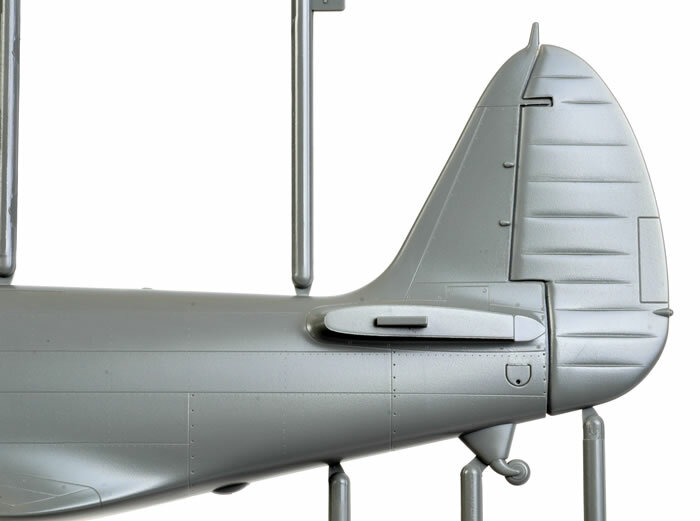 Crisp and finely recessed panel lines; raised corrugations; separate ailerons and flaps; optional open or closed cowl flaps; alterative ordnance (two different torpedoes, white-metal bomb shackles); sparkling clear parts including different parts for open and closed canopies; good engine detail; high level of detail including photo-etched parts. 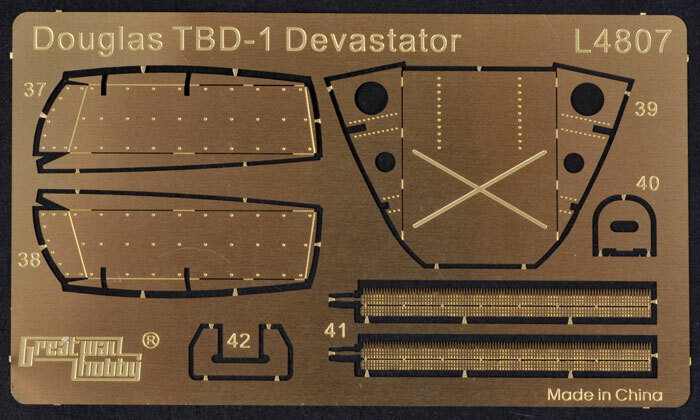 In my opinion, Great Wall’s brand-new 1:48 scale TBD-1 Devastator is their best aircraft release to date. Highly Recommended. The Douglas Devastator delivered a string of innovations for American naval aviation. It was the first all-metal, low wing monoplane with enclosed cockpit and folding wings to see service with the US Navy. The TBD-1 first entered service on CV-3 USS Saratoga in October 1937. At the time, it was one of the most advanced naval aircraft in the world, but it was rapidly superseded by the fast pace of military aviation. Despite this, the Devastator remained a front-line mainstay from Pearl Harbour until the Battle of Midway in June 1942. Although revolutionary when it entered service, by 1940 the US Navy was well aware that the TBD-1 was dangerously outclassed by its Japanese contemporaries. However, such was the desperate need for front line aircraft that the Devastator soldiered on to participate in campaigns in the Marshall and Gilbert Islands, Wake Island, Marcus Island, New Guinea and the Battle of the Coral Sea. 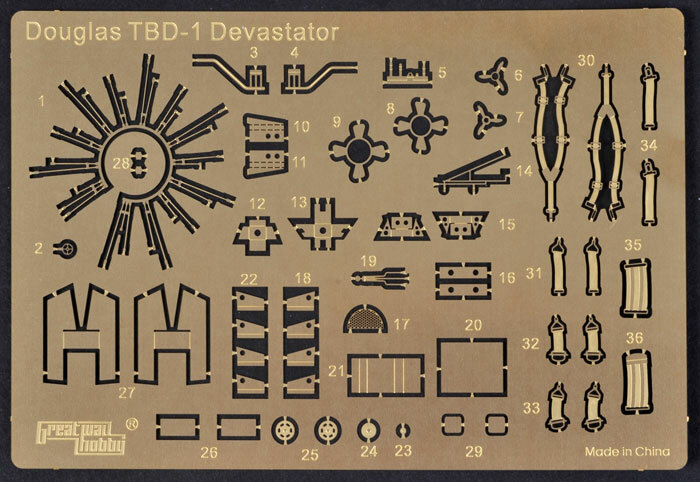 With its low speed, limited manoeuvrability and light armament, the Devastator ultimately became a death trap for its crews. Of 41 TBD-1s launched from Hornet, Enterprise and Yorktown to attack the Japanese fleet at Midway, only three returned. The Devastator was immediately withdrawn from front-line service in the face of such disastrous losses and replaced with the new (although initially not much more successful) TBF Avenger. 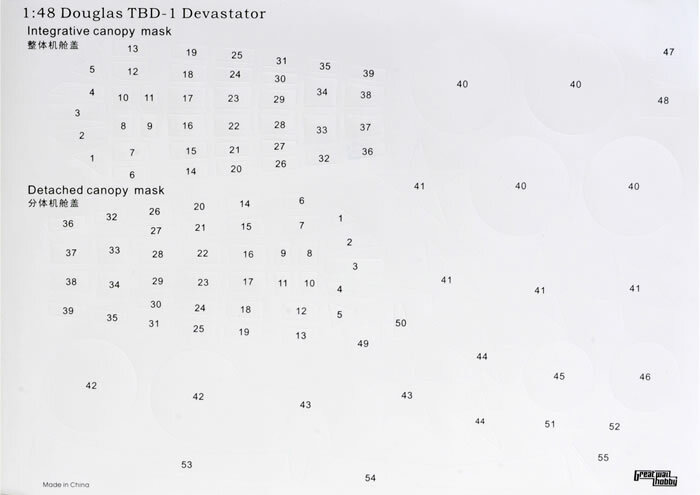 A total of 129 TBD-1 Devastators were manufactured. 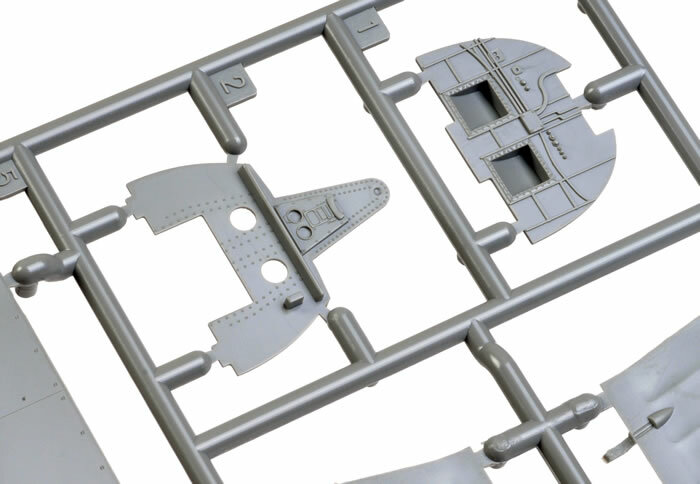 Great Wall Hobby’s newest kit is a 1/48 scale Douglas TBD-1 Devastator. 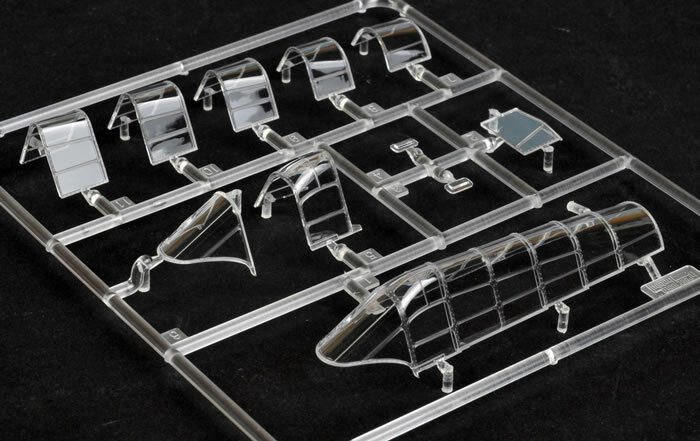 The kit comprises just 102 parts in medium grey plastic, eleven parts in clear plastic, two white metal pieces, two photo-etched frets with around 60 parts, masks for the canopy and national markings and decals for two aircraft. 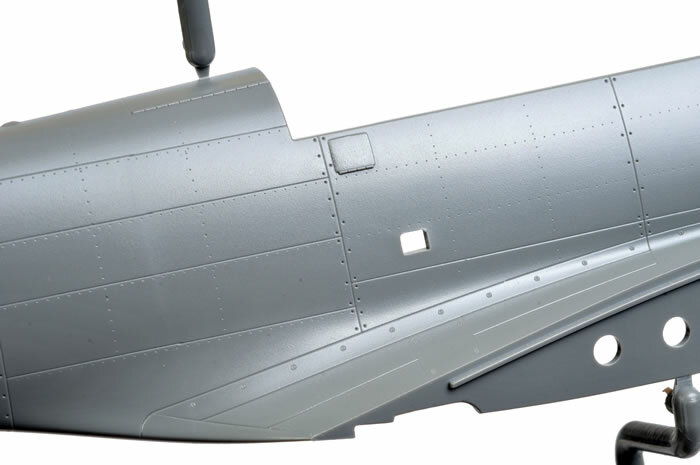 With its metal-skinned fuselage, corrugated wing panels and fabric control surfaces, the TBD-1 offers a varied and interesting canvas for surface detail. 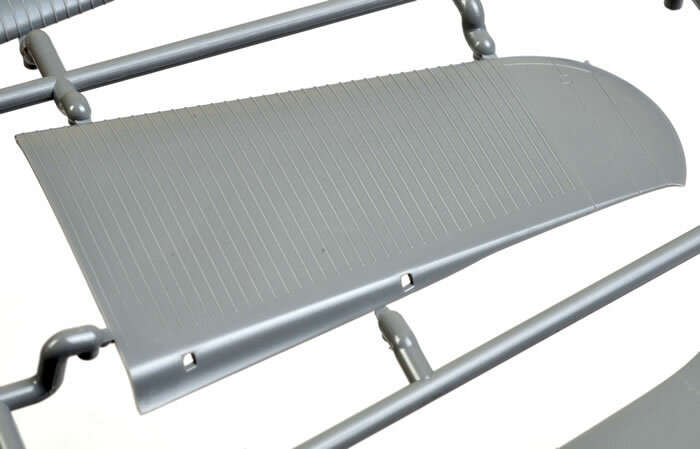 Great Wall Hobby has risen to the challenge with spectacular rendition of these distinctive features. 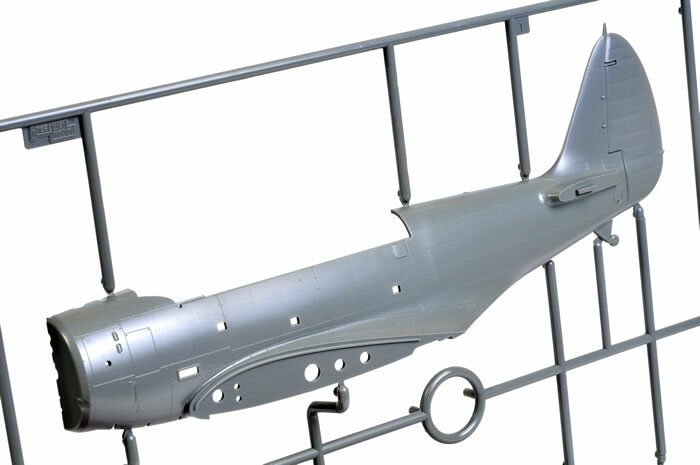 The fuselage uses a combination of very fine, very crisply recessed panel lines and extremely subtle recessed rivets that are almost invisible at certain angles. 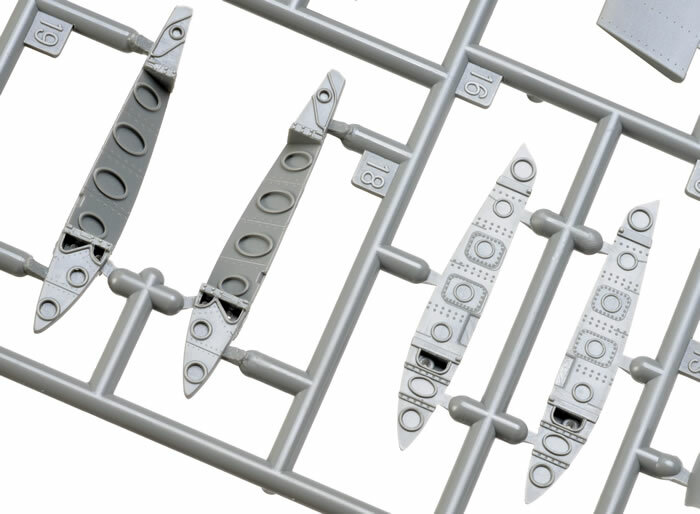 Lines of larger rivets and fasteners, in addition to raised hinge lines, compliment the panel detail to good effect. 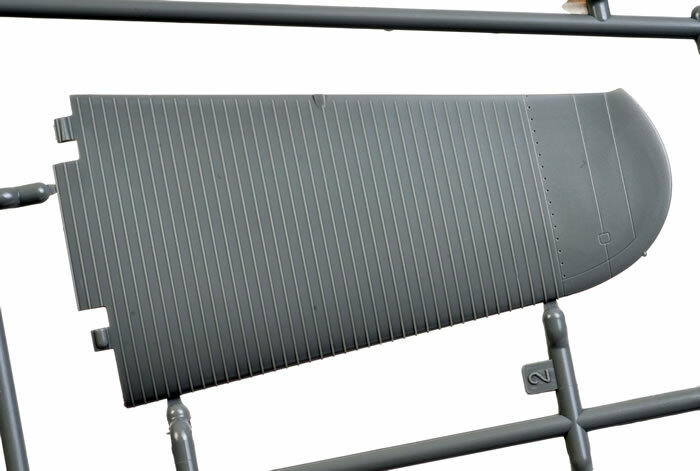 The raised corrugations on the wing panels look great too, as does the fabric skinning of the control surfaces. 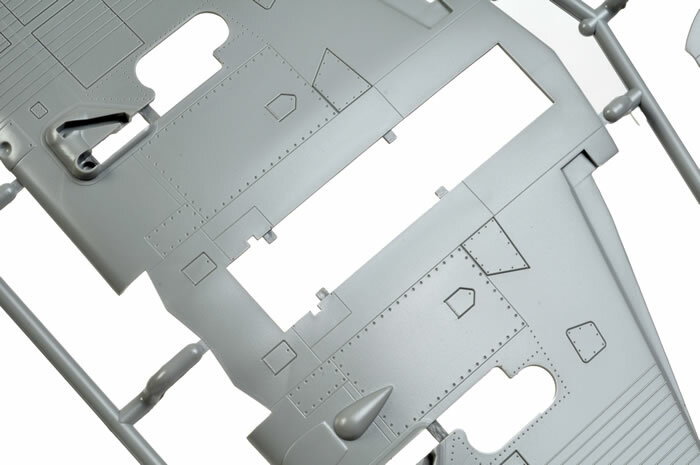 The busy interior is very well fitted out with photo-etched harness straps, decal dials for the two-part instrument panel and deep rib and strip detail moulded to the fuselage interior. The twin .30 cal machine gun ring is impressive. 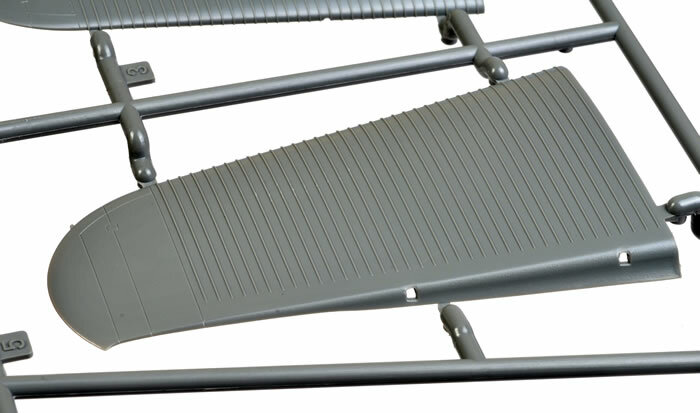 Alternative canopies are provided – a one-piece closed canopy or seven separate pieces for an overlapping open option. 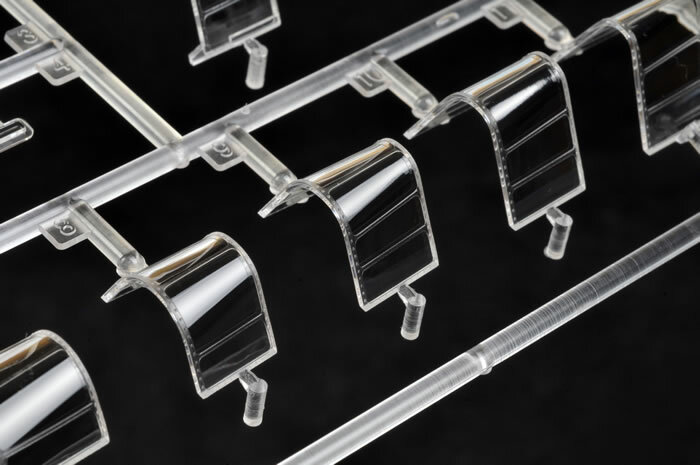 The clear parts are impressively thin and sparklingly free from distortion. The Twin Wasp engine is made up from seven parts including the photo-etched ignition harness. 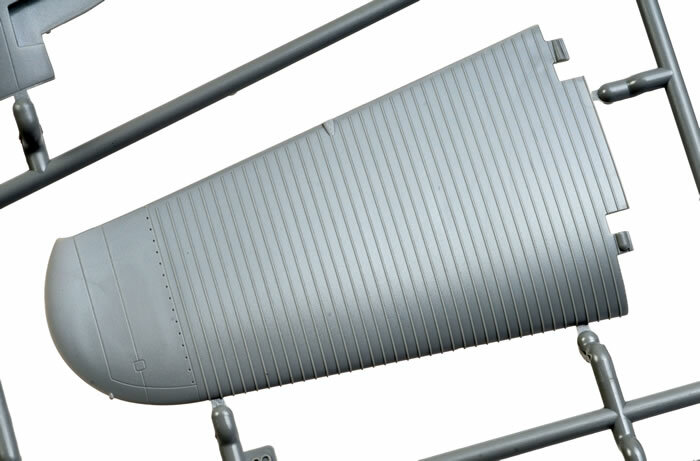 The cowling is moulded as a single part, separate from the cowl flaps. 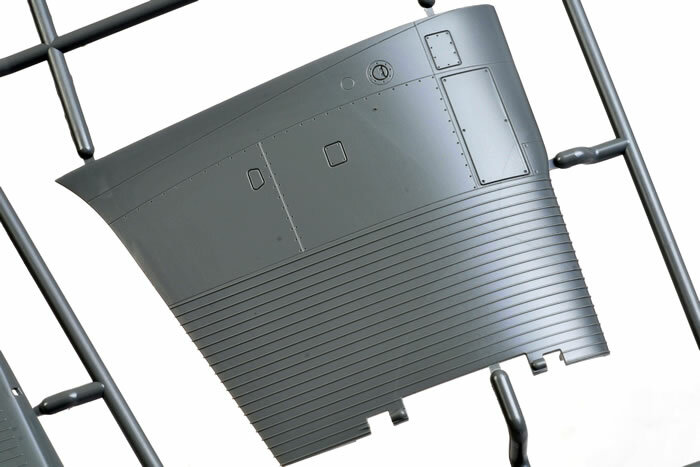 A choice of open or closed cowl flaps is offered. 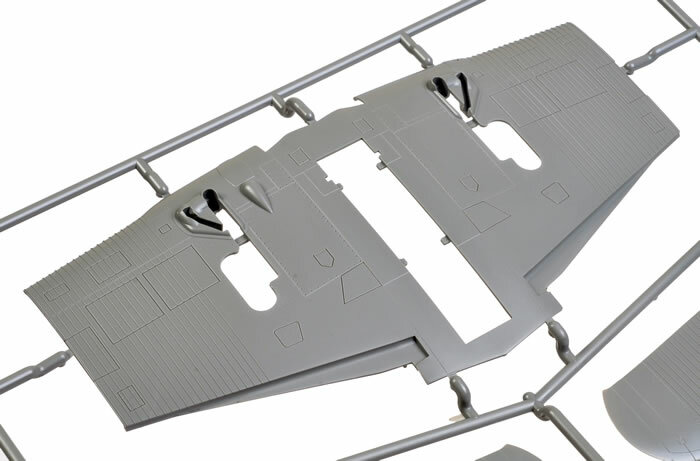 The wings are broken down into a centre section and separate outer panels that may be posed either folded or deployed. Elevators and flaps are separate parts that may be posed to taste too. 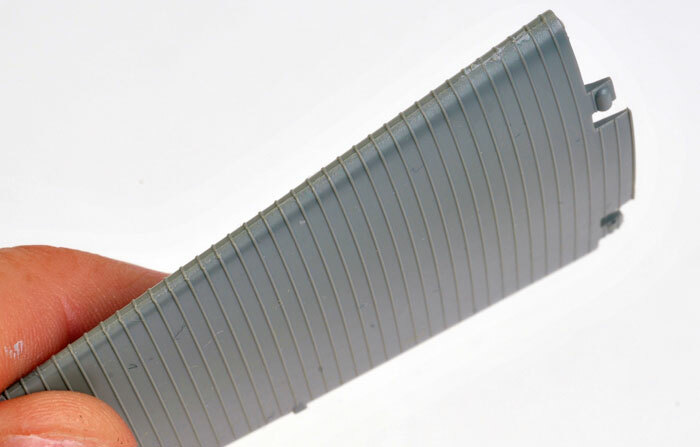 The corrugations on the wing panels really do look very good. 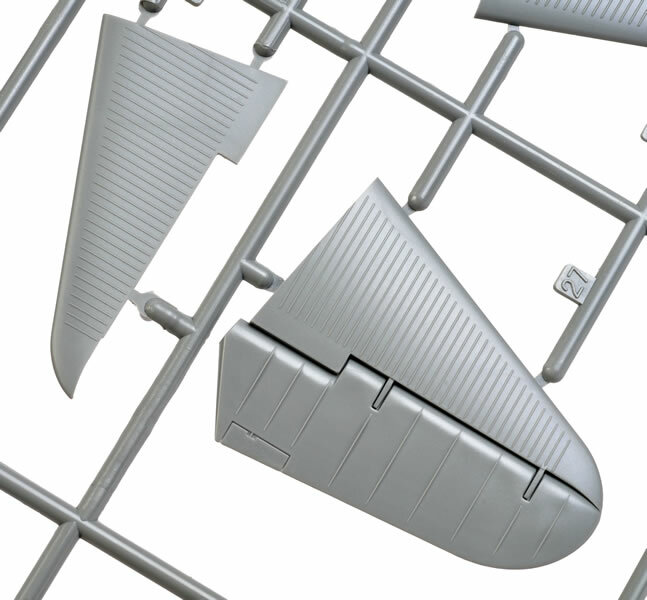 The sprue connectors are moulded mainly to the mating surfaces of the wing leading edge, thus minimising the risk of damaging the raised corrugations when cleaning up the wing panels. I have already glued one set of outer wing panels together and the leading edge join is nice and clean. 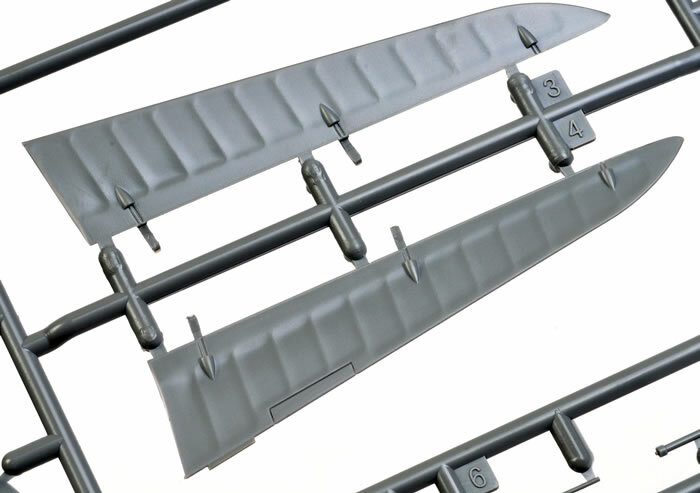 Plastic moulded wing fold detail is supplemented by photo-etched parts. 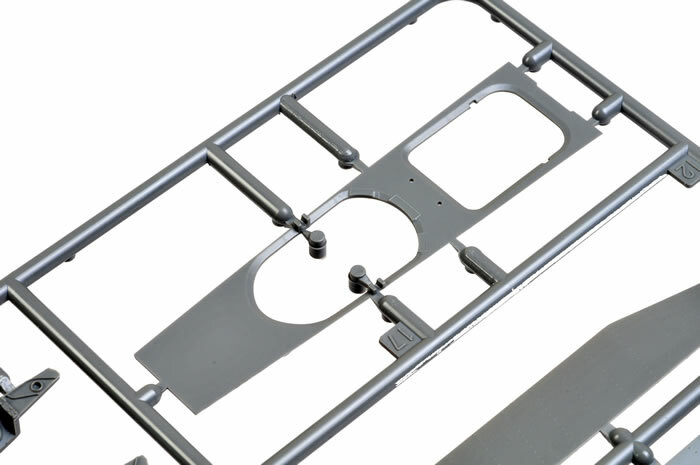 White metal parts are supplied for the main wing fold join to ensure maximum strength and three-dimensional detail. 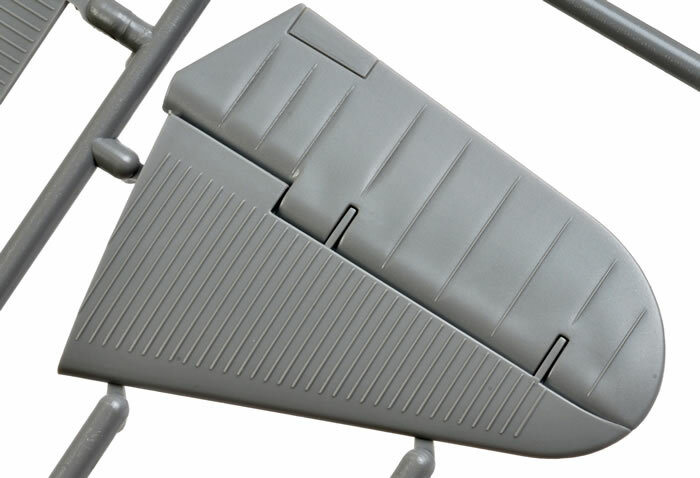 Undercarriage legs are moulded with hydraulic lines in place. 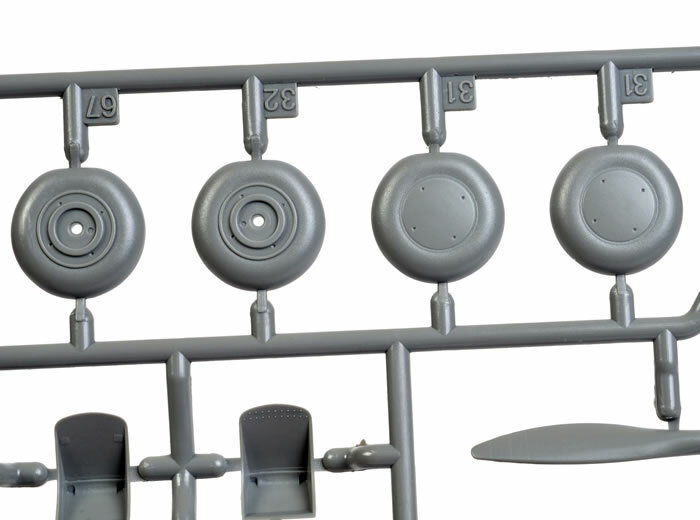 Options are provided for a torpedo mount or the flat fuselage bottom with two bomb shackles. 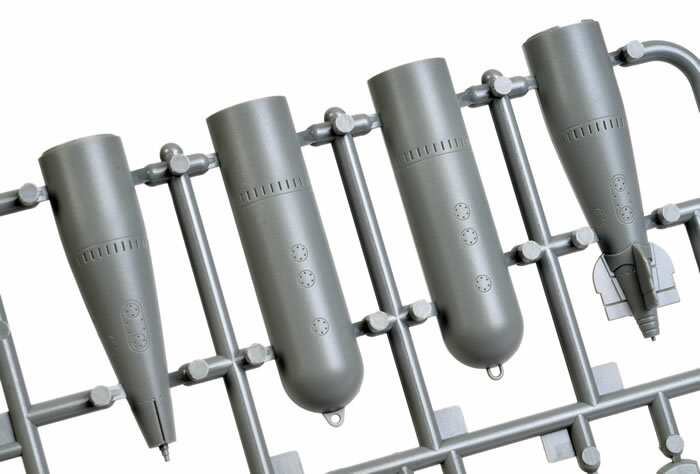 Alternative torpedoes are offered too – one with a metal tail and one with what I assume to be a boxy wooden tail. The timber version features really nice raised woodgrain texture. 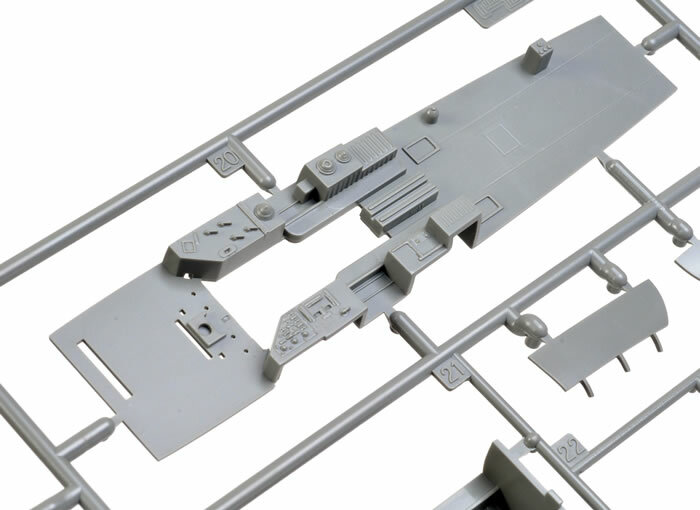 The two photo-etched fret provide plenty of additional detail for the interior and exterior of the model. 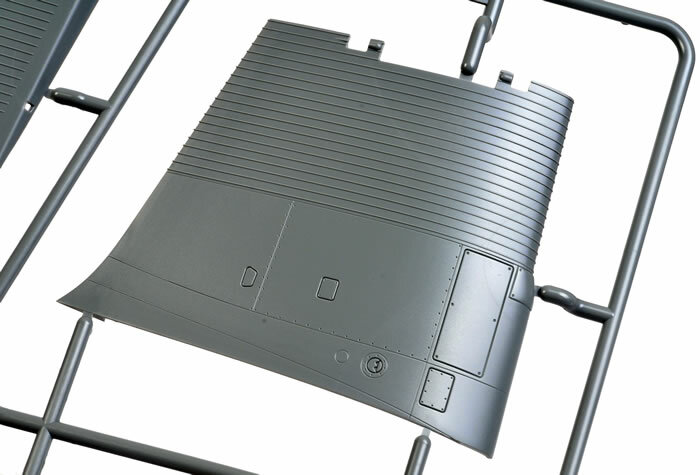 A big vinyl self-adhesive masking sheet is supplied, with two sets of canopy masks (one for the open canopy, one for closed) plus star and circle masks as an alternative to the decals for the national markings. 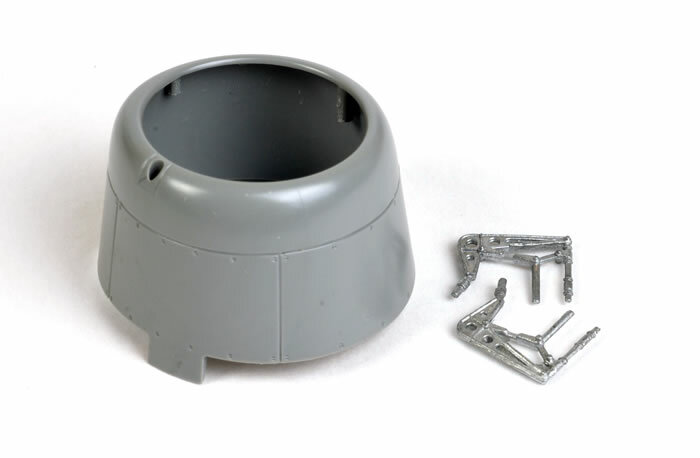 Wing walkway and wheel masks are also included. 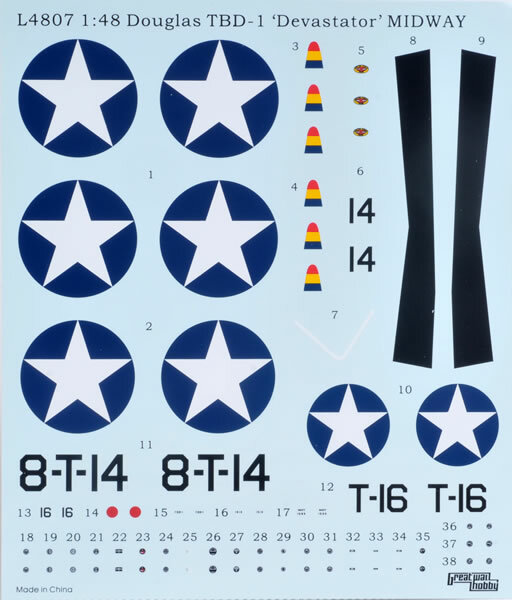 The decal sheet is well printed, and includes markings for two Midway-era TBD-1s aboard USS Hornet. Both are finished in early-war blue and grey camouflage. 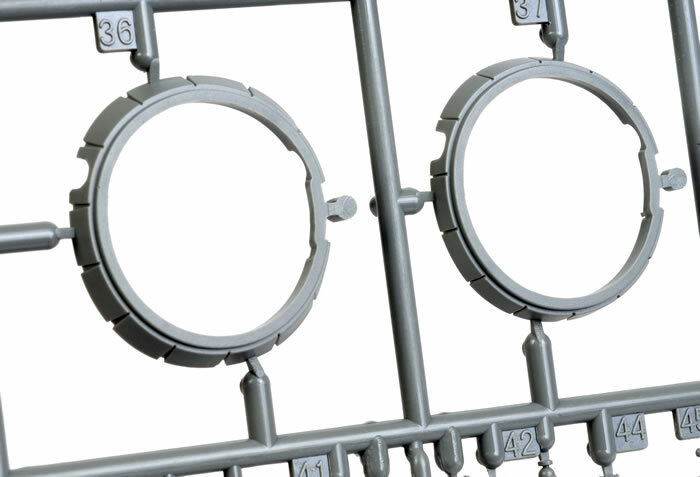 Great Wall Hobby seems to be a company determined to learn and improve from every new release. 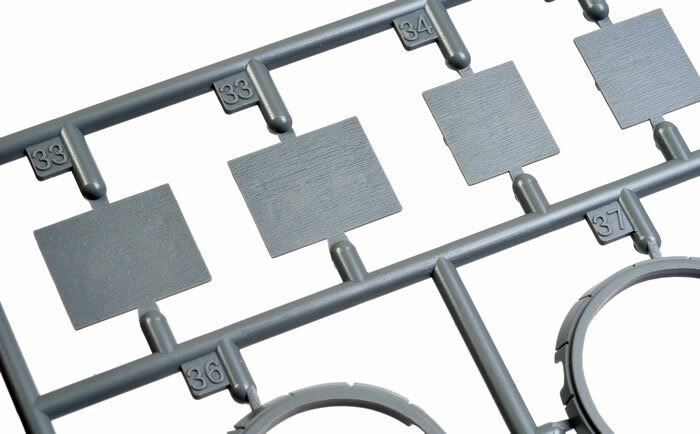 In my opinion, Great Wall’s brand-new 1:48 scale TBD-1 Devastator is their best aircraft kit to date. Surface detail is exquisite, clear parts beautifully done and cleverly broken down, while the cockpit and engine look busy and authentic. 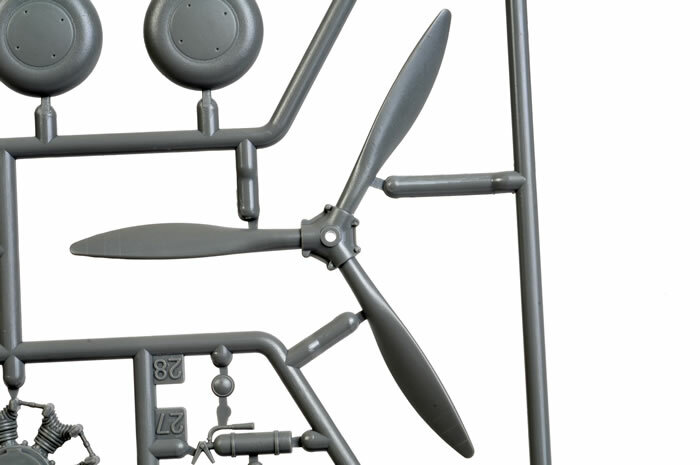 Options such as the folding wings and alternative ordnance are also welcome. 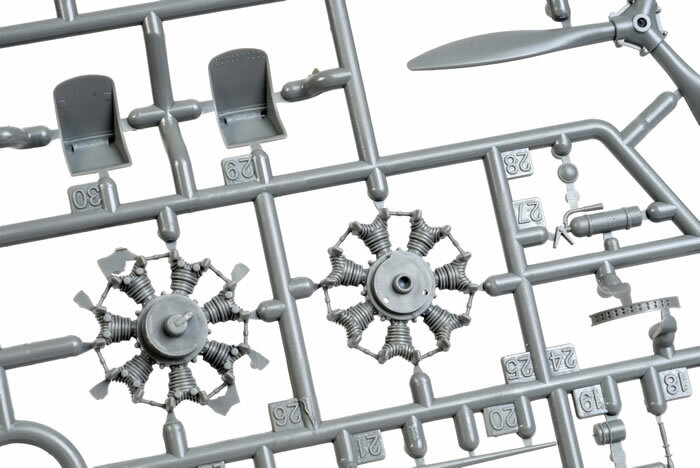 Despite this high standard, the kit should be quite simple to build thanks to a relatively modest parts count. 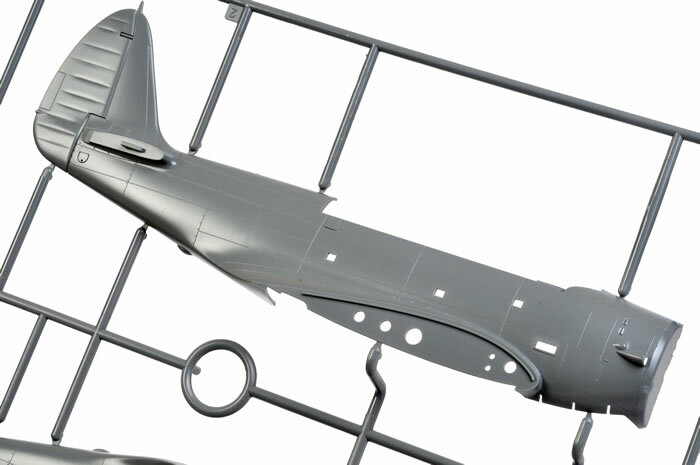 If the fit is as good as Great Wall’s previous release, their P-61A Black Widow, it shouldn’t require much filler either.